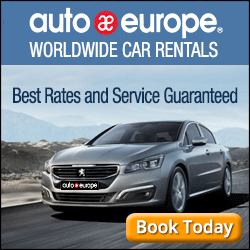 Every time I travel to France I like to try something new. During my recent trip to the south of France, I decided the time had finally come for me to try bouillabaisse. 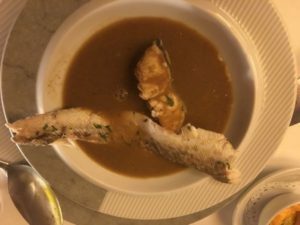 This is a popular Provencal fish soup/stew that originated in Marseille and to my surprise I learned a few things I hadn’t expected…or wanted. Thought maybe you should hear about these….surprises. 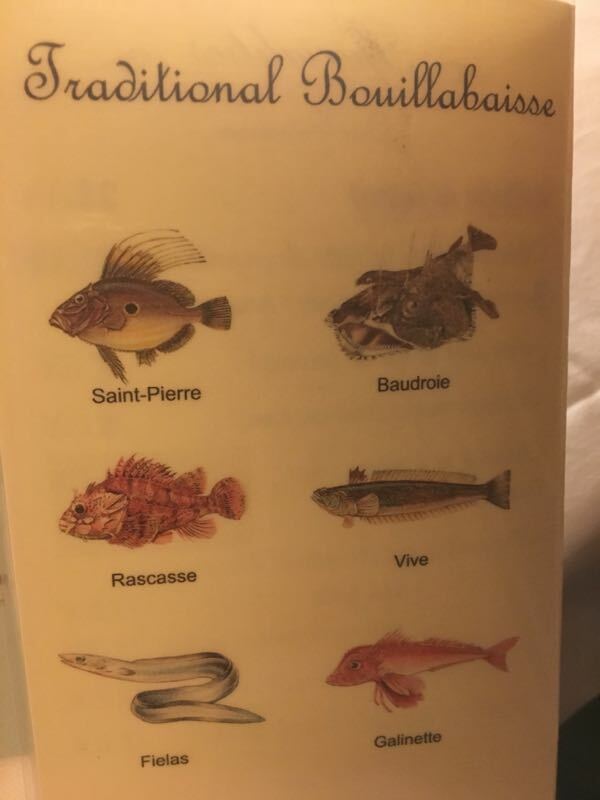 When I was in Marseille, it seemed every restaurant had a billboard out advertising their “signature”bouillabaisse dish. The price started at 25 Euros (about $38 Cdn) and went up and I wanted to be sure to go to a restaurant that really made it well. 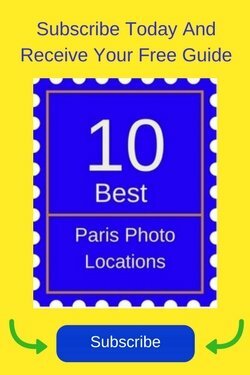 The restaurant we went to had been recommended by our hotel and we checked out the reviews which were positive. 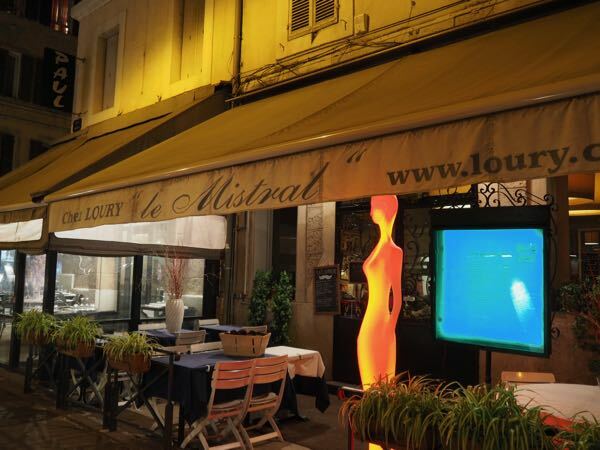 It was called Chez Loury Restaurant Le Mistral and was located one street away from Le Vieux Port. Surprise #1: What Is Bouillabaisse? I always thought that bouillabaisse was simply fish soup—-a broth with a bunch of fish and other seafood thrown in. OK, I actually imagined fish heads floating in the broth. I have no idea why. Maybe a cartoon from when I was a child? To my astonishment, this traditional bouillabaisse is much more elaborate and complex. Originally, Marseille fishermen made this stew using the rockfish that they were unable to sell at the market. We had to make a reservation in advance as the restaurant wants to buy fresh fish in the morning. According to Wikipedia, there are at least three kinds of fish in the traditional stew: red rascasse, sea robin, and European conger. I’ve never heard of these, but granted, there are a lot of fish in the sea (sorry). There are other fish, mussels, sea urchins and shellfish that are often added to the recipe as well as onions, leeks, tomatoes, saffron and Provencal spices. I really thought I would get a fish broth with lots of fish meat and shellfish (with shells). Not quite. In fact there were three servings. After placing our order, the server came out with a platter to show us the SIX, yes SIX fish I would be eating. (Sorry about the blurry photo. I guess I was in shock).On the menu they show you the fish and their names. She then heads back to the kitchen and the chef does his work. The broth is served with grilled slices of baguette on the side and rouille. Rouille is like aioli but has more ingredients/spices and is spicy. It is a mayonnaise made with egg yolks, olive oil, breadcrumbs, saffron, a ton of garlic, and cayenne pepper. The sauce is put on top of the baguette slice (crouton) and then added to the broth. In the bowl were some boiled potatoes and four of the fish on top. There was a LOT of fish. The waitress brought out the third dish which had the final two pieces of fish. After placing it on the table in front of me, she then brought a small tureen and dished out more fish broth — the same broth from course #1. So here was my fish IN soup. Again I could add the crouton and rouille, which of course I did. In the middle of the night, my friend Laurie, who also had the bouillabaisse, was extremely sick. [I’ll spare you with the details]. We wondered if it was food poisoning as I seemed to be okay during the night. But that was short lived. It was in the morning that the bouillabaisse affected me. We had weak stomachs all the next day but for some reason I didn’t feel like I had food poisoning. I felt it was simply our stomachs not agreeing with rich food. Who knew that fish could be “rich”! I subsequently found out that it’s not really the fish, but the rich broth and the accompanying rouille that is hard on one’s system. 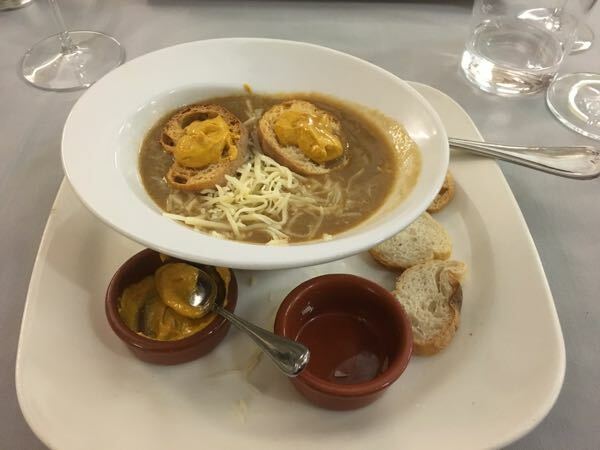 Fish soup with rouille, croutons and cheese. 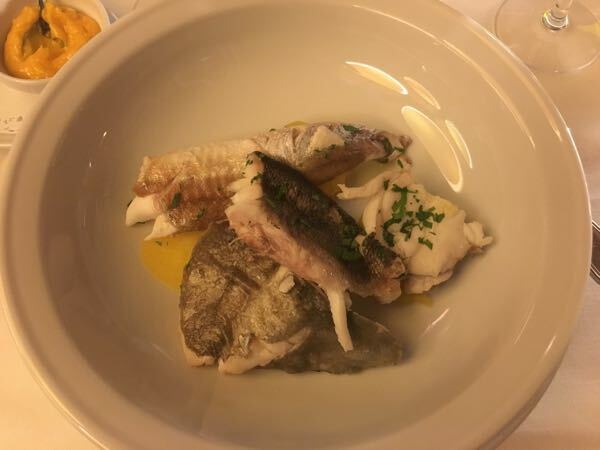 While I highly recommend you try bouillabaisse when you are in Marseille or the south of France, just be aware that your system might not be used to eating so much fish or rich food. While our Traditional Bouillabaisse (3 courses, 6 fish) was 48 Euros (about $68 Cdn), you could opt just to have one course with 3 fish for less money. This is what I would do next time. Another option is to just get fish soup. It will be accompanied by croutons, rouille, and cheese (often Comté or Gruyère). 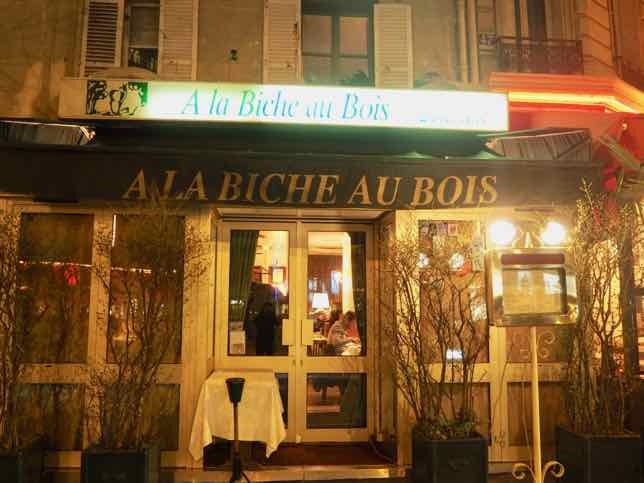 Have you ever had bouillabaisse and gotten a “bad” reaction? I learned just last week that towns like Marseille are named because Mar is sea and they mean port. Many are named like this in Europe. A good article and yummy food! You’re lucky. Guess you can eat anything! I love soupe de poisson (fish soup) with the croutons, cheese and rouille (this means “rust” because of the color). 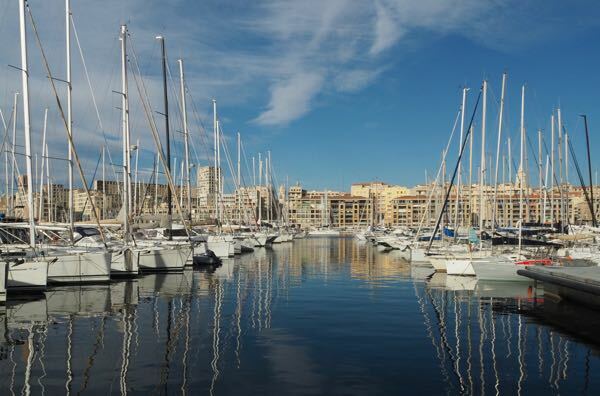 There’s nothing like eating a bowl along the port in Marseille or Cassis! This would not have been what I expected either. I would have expected a fish soup/stew. I’ve had variations of that which I love but don’t recall now if they were actually named bouillabaisse on the menu. I think I’d be willing to give this a try. Good for you! Hope you like it. So confusing, but now I want to learn more. What makes a fish broth Bouillabaisse? If you just eat the soup course, have you had Bouillabaisse? Would you ever try making it at home? (I’d like to!) And I agree, in this case less is more (better). I think if you just have the soup course, then you’ve only had fish soup. Once they add a few (ie. 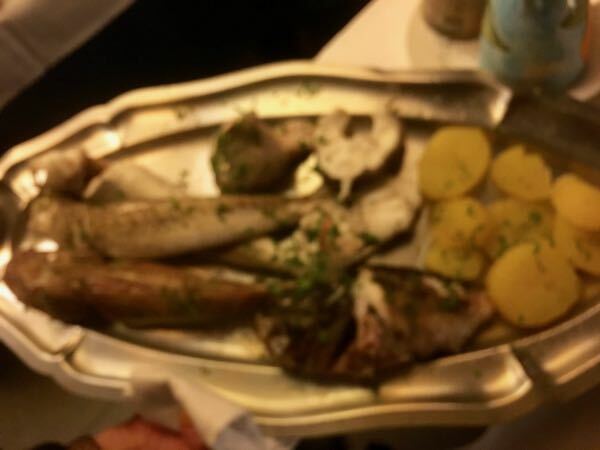 3) fish, that makes it closer to bouillabaisse….I think! Interesting story Jan! Can you believe I haven’t tried bouillabaisse? I have to admit that it sounds super rich and spicy. Not sure my stomach would love it but I would try it. Pretty sure I wouldn’t be able to eat all those courses. Too much food! Actually I am surprised considering I know you love France as much as I do and have travelled there numerous times. Just the thought of those 3 courses makes me feel nauseated! What a great experience- eating bouillabaisse in Marseilles! I wonder if that was a traditional presentation or how that restaurant did it. I know it as a rich fish stew/soup but haven’t tried it in France so…. I have a funny feeling it was the traditional presentation, based on the research I’ve done. It’s so rich but worth trying ….once! 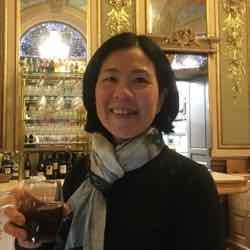 Hi, Jan. Thx so much for this detailed post about bouillabaisse. I have been to Marseilles, but opted for an exotic seafood salad that was scrumptious. I had no idea the bouillabaisse was such an elaborate dish, and I also had to idea how to spell it. Thx for both! Now I’ll want to try the exotic seafood salad when I return for sure. My wife and have eaten Bouillabaisse many times, never experiencing the slightest upset stomach. 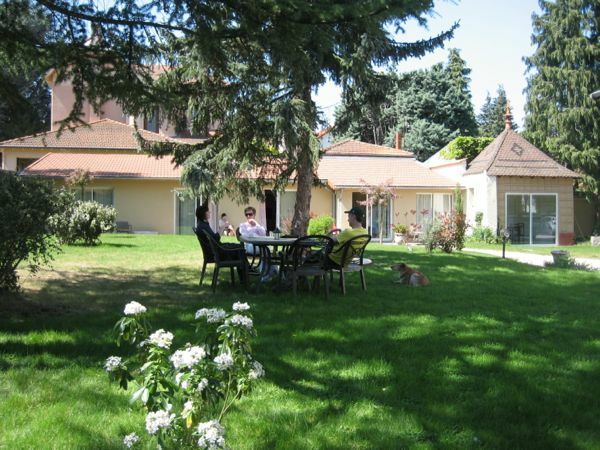 We have visited the South of France, namely Grasse many times over the years, we have extended family there. They gave us their family recipe for bouillabaisse and we’ve been making it as a traditional Christmas time meal, inviting guests and not once has anyone ever mentioned nausea from it or it being too “rich.” From your story, I am more suspect of your server being the culprit in contaminating the dish and less likely food poisoning in the preparation of the bouillabaisse. I was actually told by a French person that it had to do with the richness of the dish, but who knows! Thank you for such a thorough description of the Bouillabaisse experience. Can I ask for a little more detail on how one tackles eating the bread element of the dish? 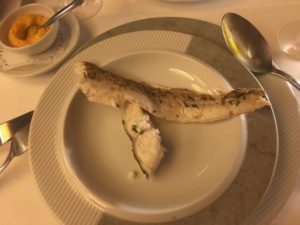 Some descriptions go for croutons while you had slices of toasted baguette – and there sometimes seems to be aioli offered as well as rouille. 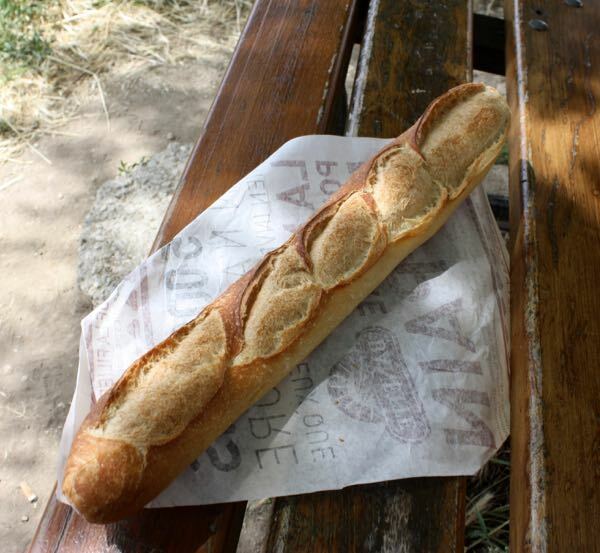 Confronted with a floating island of doctored baguette, how does one proceed without making a complete mess of things? Can you also speculate on how the crouton/mayo alliance can be brought together if that is what the restaurant offers? Would you just spoon the rouille directly into the broth perhaps? All I can say is that the croutons are small so no mess is made! 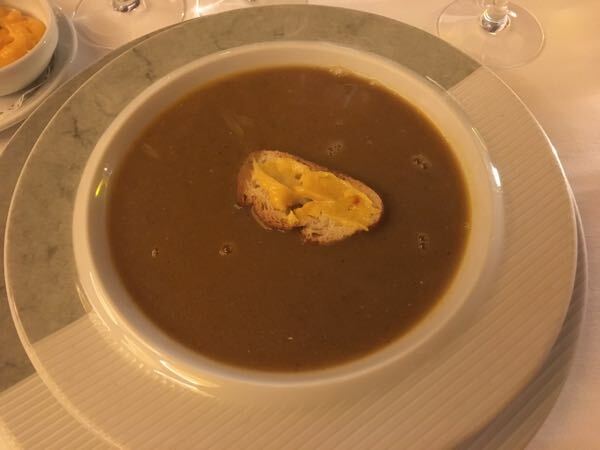 You put the rouille on the crouton and then into the soup. Voilà!